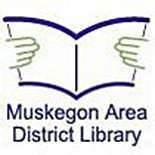 There are exciting events and programs open to the community thanks to Muskegon Area District Library. Listen as Allison Keessen discusses upcoming events and services available to everyone in the area. Be sure to visit www.madl.org for more information on services, events and programs.